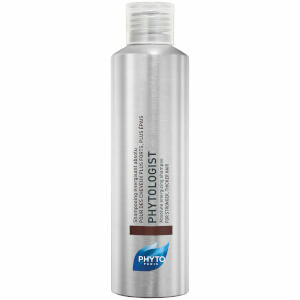 This shampoo helps to reverse the hair damage caused by a color treatment. 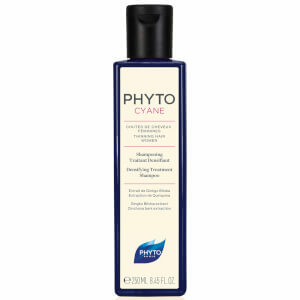 By restoring hair to its natural pH, Phytocitrus preserves the health of the hair and the vitality of the color. The color lasts longer and hair remains clean, soft, and shiny. Has a citrus grove scent. Protects hair color from oxidation. Shake well before use. Shampoo and repeat. Leave the second shampoo on for one to two minutes. Rinse thoroughly. 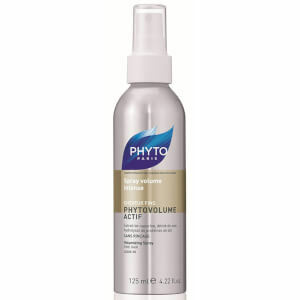 Can be used for the first four shampoos after color process, then twice a week for maintenance. For optimum results, use with Phytocitrus mask. Chamomilla Recutita (Matricaria) Flower Extract, Sodium Laureth Sulfate., Propylene Glycol, Coco-Betaine (Dérivés D'huile De Coco), Cocamide Mipa, Glycol Stearate, Peg-4 Rapeseedamide (Dérivé D’huile De Colza), Lauryl Pyrrolidone, Octyldodecyl Ricinoleate, Citrus Grandis (Grapefruit) Fruit Extract (Pamplemousse), Coco Glucoside (Dérivé D'huile De Coco), Peg-15 Cocopolyamine (Dérivé D'huile De Coco), Glyceryl Oleate, Benzyl Alcohol, Quaternium 80, Prunus Amygdalus Dulcis (Sweet Almond) Protein (Amande Douce), Glycerin, Dimethylpabamidopropyl Laurdimonium Tosylate, Water / Aqua (Eau Purifiée), Propylene Glycol Stearate, Tetrasodium Edta, Fragrance / Parfum, Limonene, Polyquaternium-10 (Dérivé De Cellulose De Bois), Carthamus Tinctorius (Safflower) Flower Extract (Extrait De Carthame), Zea Mays (Corn) Oil, Sodium Chloride, Sodium Citrate, Citric Acid, Phenoxyethanol, Parabens (Butyl, Ethyl, Methyl)*, Methylisothiazolinone*, Methylchloroisothiazolinone*, Beta-Carotene. Just remember, it's not meant to be a daily shampoo: The directions state: "Can be used for the first four shampoos after color process, then twice a week for maintenance. For optimum results, use with Phytocitrus mask. 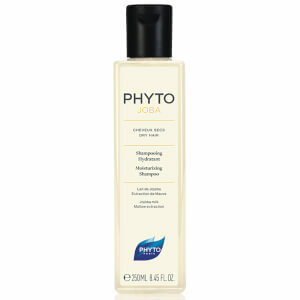 "I use Phytodensium shampoo as my regular daily shampoo.My hair has never looked better or been healthier. I tried this shampoo to get away from buying expensive shampoos. Unfortunately sometimes you get what you pay for. This doesn't do a great job actually cleaning my hair. It leaves it weighed down and almost greasy looking. Instead of washing every few days I have to wash every other day now. Will use it up but not repurchase. Love this shampoo and conditioner it makes my hair soft and shiny as well as giving it back body from years of coloring. Will purchase again. Using this shampoo does help with keeping my mother's hair color from fading. She uses the restructuring mask as well because she has very dry hair. Overall this does a great job on her hair and I have used it before (I don't have hair color in my hair) and it washes well! Nice fragrance too. great shampoo ! love the smell, the way my hair feels and looks, a tad expensive, but worth it. also, be careful when pouring out, a heavy shampoo, so a bunch can come out and fast.